The NUHW doesn’t yet have a single dues-paying member but is waging a David versus Goliath campaign against the behemoth SEIU, which boasts more than 2 million members nationwide, almost half in the healthcare sector. The struggle for the allegiance of tens of thousands of health workers in California has divided the labor movement at a time when the healthcare debate dominates the national agenda. The voting set for Thursday and Friday culminates a more than five-year unionization drive at Santa Rosa Memorial, a Catholic facility that is part of the Orange County-based St. Joseph Health System network, a major provider statewide. 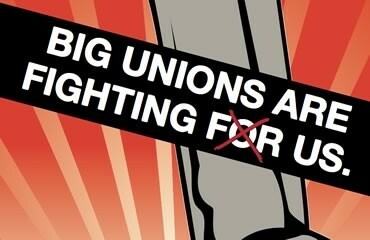 Beyond the vote in Santa Rosa, the upstart union is pushing for dozens of elections that could knock SEIU from its current perch representing more than 100,000 workers at hospitals, clinics, nursing homes and other healthcare facilities throughout the state. More than 2,300 Kaiser-Permanente workers in Southern California are expected to vote next month in a NUHW drive to oust SEIU. It is some cold comfort that if the NUHW wins and healthcare legislation passes, and unionization of America’s healthcare system begins en masse, not everyone will become SEIU. Here are just a few more testimonials from NUHW supporters on the lengths to which the leadership of a union, in this case the SEIU, will go to not lose. 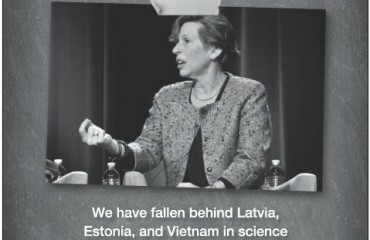 For more information on the NUHW vs. SEIU fight, read Labor Pains here, here, here, here, and here. 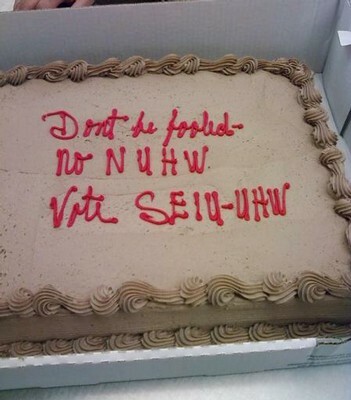 In an exceptionally strange turn of events, the SEIU allegedly recently sent cakes with anti-NUHW slogans into the hospital, according to several blogs. Results will be posted here as soon as they are announced.